Natural allergy relief. 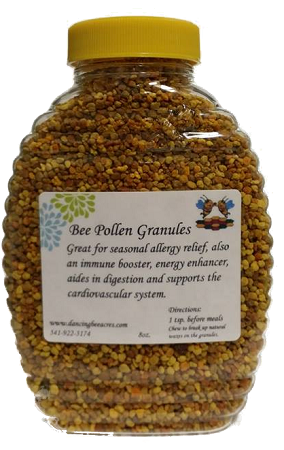 Athletes use bee pollen for endurance when working out, gives you that extra energy without the side effects of caffeine. 8oz bottle.